We're really excited to fill you in! Hello everyone, we’re off to a great start for our AlterVerse Kickstarter crowdfunding campaign! We have raised $1416.00 in 8 days! Thank you to everyone who has funded, shared, and are involved. We are very grateful for your support! But, we're not done yet, so lets keep it going! 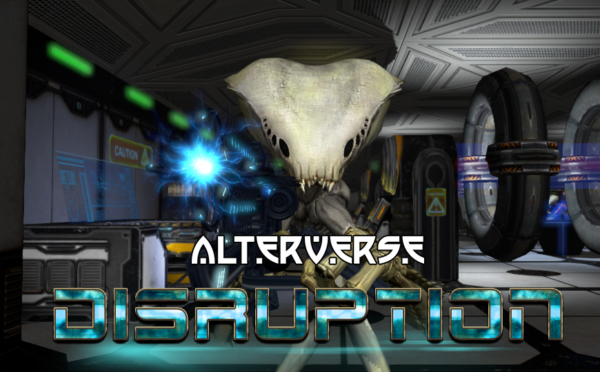 We are almost half way, we still need about $1600 to reach our goal so that we can launch our game AlterVerse Disruption on Steam with a BIG BANG! There are only 7 days left in our campaign. We want to make them count! So, we've created a new Pledge Reward to offer! For a small $15 pledge you get all this! - 1,000 Arns (Game currency). - Your name on the backers credits page forever. - And of course a BIG THANK YOU. See all the other COOL REWARDS on our Kickstarter Campaign Page here. Help support us in the final stretch by sharing our Kickstarter Page link with your friends and family, or anyone else you think would enjoy playing in the AlterVerse! We can use and greatly appreciate all the support we can get. Also, there's only a couple postions left for AlterVerse Ambassadors. If you wish to become an Ambassador don't miss out on this opportunity, it won't last long. Click here for all the details. We know some of you may have questions, if you do, please feel free to reach out to us at support@alterverse.com.